Premiesku is the acclaimed mutual project from Romanian pals, Livio & Roby and George G – a unique live experience, having gained enormous accolades from many party heads, acclaimed music professionals and opinion leaders. As virtuoso audio engineers, the trio intelligently structure their (sometimes) heterogeneous ideas into powerful and dynamic compositions that catch the heart, the body and the mind of listeners. Compact “four to the ﬂoor” patterns, inspired with classic deep house, Detroit techno and tech house are switched up and deconstructed, resulting in a hypnotic brew. Driving and energetic solid grooves are fused with a plethora of colors and sonic twists, ranging from Balkan cultural heritage to surreal theatre. 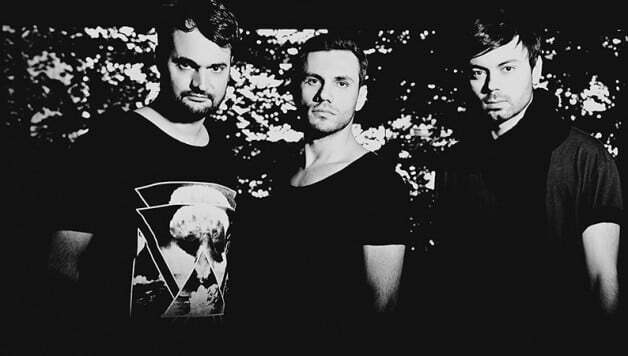 Their outstanding production has been released on inﬂuential labels such as Desolat, Apollonia, Vakant. Today’s exclusive premiere is ‘Altitude’ aka seven minutes of irresistible electronic funk coming off Desolat Records eponymous EP. Jostling drums and odd synth sounds dance next to each other and you will too. Machines get loose and spit out soulful sounds and odd hooks and the whole thing keeps you locked for the duration. Much has been made of the Romanian electronic music scene over the years, but with such growth also comes the risk of a plateau, if not a decrease in atmosphere. How do you see the state of electronic music in Romania? Would you say it is still on the rise or has it started to balance out? We believe the scene went up to a certain level since a little while now. In Romania, people are very interested with what is going on and they like to follow the local artists, it’s a good conjuncture for the DJs and producers. The fascinating thing is that people don’t loose their interest, every new generation shows as much – if not more – enthusiasm than the one before. So in fact, I would say it’s constantly growing. Can you give us 3 Romanian artists who may not be known on the International scene, but you feel will be big in the (near) future? What is it about these artists that make them special? At the moment, there are so many good musicians who are doing some amazing music. Mihai Popescu for example. We would also mention SIT, but it’s not really an incognito project. It’s more low key of course, but their music is really special and worth mentioning. We love their stuff because it feels out of the blue, this makes it really unique. Your new Desolat EP ‘Altitude’ seems to have taken an interesting road to its creation. You say that you hooked up your equipment in ways that are different from your live setup. How do the two setups compare? In the studio everything we do is about experimentation, we like to have an alternative approach to our music and to plug things differently each time we start a new session. We don’t really use our live gear when are producing because we don’t want to recreate the same sound than during our live shows. The live sound is really something we do on stage and we want to keep it for the crowd, we want it to be something special. What was the very first aspect of what would become ‘Altitude’ that came to you? Was it a specific pattern, idea…? Not really, we usually don’t follow any blueprint. We are just being driven by the moment or where the day is taking us. Obviously we have different forms of inspiration, we just put them together and craft something out of it. I would say that not being compelled to follow any given direction makes the creation-flow more interesting. Speaking of Desolat, you have a long-standing relationship with the label. I suppose it is an obvious response, but how do you find the creative vision of Premiesku and the creative vision of Desolat? Would you say Desolat actively provides a comfortable creative environment? Totally, it provides a very comfortable environment for the artist. This is why we like this label, Dice and Vladimir offer this approach, so we can be as creative as we want. For example, in 2012 we released a Premiesku album on Desolat called “Indirect”, this was not really a dancefloor-oriented album. I can give you the example of Pulshar too. They like to go in different directions and to be alternative sometimes, this is a gift for us. Your live setup is widely known to be analog and without laptops. You’ve been asked why this is the case before, but have you ever been tempted to just add the digital component into your live setup and see what happens? It depends on what you mean by digital components. If we go deeper into this we could say that a 100% pure analog live is quite impossible or really hard to achieve. The main reason is because we also use samplers and effect which have digital components. For example, we use the AKAI sampler which is very helpful and gives an old school touch to the sound. However, not bringing a computer on stage is a totally different thing, something we’ll never do with Premiesku. People have to experience a real live act and the way we do it makes it totally transparent for the public. How do you three split the live performance duties? Then, how does the studio work? Is there one of you who is a primary songwriter or beatmaker? Switching our roles is one of our key things in the studio. We do the same thing with the live act, even though our live parts are more precise and defined. But somehow we keep this concept there too. Finally, with 2016 at its beginning, how do you look at the upcoming year for Premiesku? More exciting than ever! Don’t tell anyone, but we have a new project with Guti. In fact, we just built a studio together in Bucarest. We have a lot of new duties and projects to take care of. We are starting a label soon and a new project, so many appealing things for this year. We’ll reveal more soon.